Whether you're making up a party platter or giving the kids an afterschool snack, be sure to use Kraft cracker cuts snacking cheese! Our creamy, delicious cracker cuts are perfect for any snacking occasion, pre-sliced for entertaining family and friends or an everyday snack. 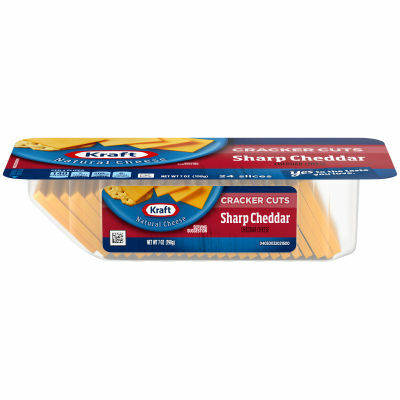 This 7z Kraft Sharp Cheddar Cheese cracker cuts tray contains delicious 24 slices.